How Would You Improve the Kobo Touch? 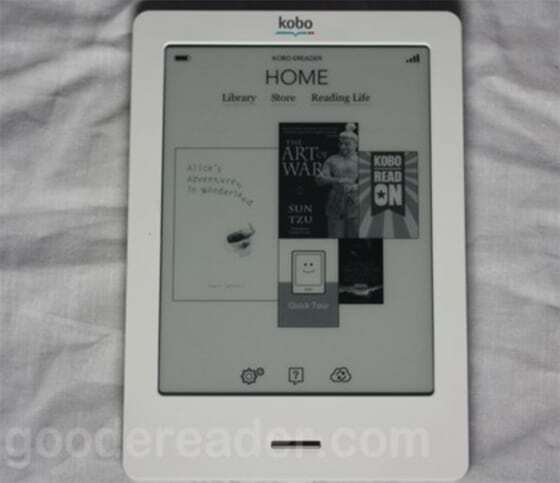 You are here: Home / e-Reader News / How Would You Improve the Kobo Touch? The Kobo Touch is the first touchscreen e-reader issued by Canadian based Kobo. This is their 3rd effort in releasing a new product devoted to the fond pursuits of reading. It seems to be a hit with consumers who want a touchscreen device. How would you improve the software side of things? The hardware aspect of things is doing fine with a full touchscreen e-ink Pearl display that has a full six inches of screen real estate. It features an Infrared Touch or IR touch that drastically enhances the touchscreen sensitivity and makes interacting with the screen a pure delight. Part of the reason why the unit is so responsive is due to the Freescale 508 Processor. You have by default 2 GB of internal storage, which should be enough for around 1000 ebooks. If this is not enough for you, it can be enhanced via the MicroSD card up to 32 GB. Many people who have emailed us have mentioned a wide array of potential fixes that would really make this edition shine. One user asked about an international edition for the Kobo Touch, since they recently launched their bookstore in Germany. Kobo has said that by August 28th you will be able to buy a German edition of the reader. But what about everyone else? Kobo really should allow menus, settings and fonts to read a wider selection of languages. I would love a way for collections to be implemented so I can easily setup genres and books by specific authors. Another great way would be to create your own categories. One user claimed there was no sorting options for Kobo Touch books. We agree and would like to see even basic search functions added. What ways would you improve the Kobo Touch? I love my Kobo Touch and they seem to be making regular improvements via firmware updates. I would love a collections/folders option and option to highlight/comment/share from books purchased from other stores but overall it is my favorite of the ereaders that I own. I would like the Kobo Touch to support non-latin languages (Malayalam is what I am looking at). Is that something I can look forward to in future firmware updates?